NESCA News & Notes: When Should Kids Start Kindergarten? Redshirting kindergarten - holding kids back to start school later - is increasingly popular. But does redshirting help, or hurt, a child? The research may surprise you. This fall, four-year-old Luke will be starting kindergarten in Centerville, OH. He’ll be one of the youngest in his class — turning five just before the school year begins — and his mother is concerned. Nationwide, the starting age for kindergarten varies widely. In states like Connecticut and California, you can easily find a four-and-a-half-year-old and a six-and-a-half-year-old in the same kindergarten class. That’s exactly what worries Luke’s mom, Deb Nelson, who has seen the difference just a few months can make, whether at home with her three sons ages 6, 4, and 3 or at school with the kids in her older son’s kindergarten class. Some kids are ready to read and write; others have trouble sitting still and paying attention. Being younger is particularly problematic as kindergarten becomes increasingly academic. While there’s no statistical evidence that delaying kindergarten is on the rise, anecdotally it appears that more and more parents are doing it. But will this benefit or hurt children in the long run? Educators and parents are wondering just that, as they weigh the potential risks of starting kids in kindergarten when they're either much younger or much older than other kids in their class. Nelson’s not only worried about kindergarten. "It’s junior high," she says. "I don’t want him to be 11 when everyone else is turning 12, and have him be practically a year behind everybody in sixth or seventh grade." Both concerns — for a child’s success in kindergarten and through adolescence — are driving forces behind the popular practice of "redshirting," or delaying a child’s kindergarten entry by a year or more. Parents typically hold a child back because they feel he isn’t ready — cognitively, socially, or emotionally. Others may want to give their child a leg up, on the assumption that being older will make him more advanced. "In a lot of circles, it’s the fad," says Gary Painter, an associate professor at USC’s School of Policy, Planning, and Development, who authored a paper on redshirting. "Particularly in upper-middle-class circles where parents want to give their children every advantage, and want their kids to be ahead of their peers." Does redshirting make a difference? In fact, he found a small benefit to being younger in terms of slightly higher college attendance rates. But is Painter’s data, which is necessarily old (his subjects are now all in their thirties), on target? "There’s other research out there from here and abroad that finds older kids do slightly better than younger kids while they’re in school," Painter says. "We need to keep a close eye on it." Overall, research on has found mostly unfavorable results for being older than your grade-level peers, including academic achievement that disappears in later grades and an increase in social and behavioral problems in adolescence, when being older (or different in any way) can create problems. But much of this data is old, and, in many cases, linked to studies on grade retention, which is likely more of a social stigma for a child than starting kindergarten later. A recent Canadian study suggests that redshirting can have positive academic outcomes, including a reduced chance the child will repeat the third grade and improved math and reading scores in tenth grade. According to this study by the NBER, the effects are highest for boys (who are more often redshirted) and low-income students. Additionally, the researchers’ estimates suggest that not only is delayed kindergarten better, but starting too early may have negative consequences for kids. Given these mixed findings, redshirting clearly needs more study, especially since the average age of kindergartners is on the rise. In the past 35 years, scores of states have raised their kindergarten cut-off dates. In 1975, only nine states required that kids be five when they start kindergarten. By 2010, 37 states had that requirement, with more states following suit (California will be there by fall, 2014). In the meantime, it’s up to parents to determine their child’s kindergarten readiness on a case-by-case basis, taking into consideration social and emotional readiness, as well as cognitive ability. For many parents, evaluating a child’s kindergarten readiness isn’t easy. Former preschool teacher Tracy Gibb delayed her son’s kindergarten entrance because he was immature socially. "I’ve worked with kindergarten teachers for many years, and what they want are kids who can sit still and behave themselves well enough to learn, rather than a child who understands what’s going on but is a discipline problem because he’s too young to handle the responsibility of kindergarten," she wrote in an email. Now, she thinks her 11-year-old son is on a par with his fifth grade peers emotionally. "This is a decision I have never regretted." When 4-year-old Delilah’s preschool teachers suggested she might not be ready for kindergarten, her mother, Los Angeles-based songwriter and music teacher Deborah Poppink Hirshland, was impressed with how the teachers explained their conclusion. In kindergarten, they told her, there are a lot of three-step processes, such as get a piece of paper, draw a shape on it, then cut out the shape. "Delilah went to the teacher after every step to ask what to do next," Poppink Hirshland says. After an assessment, Poppink Hirshland learned valuable information about her bright daughter, who grew leaps and bounds thanks to occupational therapy. Now, six-year-old Delilah is thriving in kindergarten. The school Nelson’s sons attend offers a young fives program for kids who may not be kindergarten-ready. At a pre-enrollment panel discussion with four local kindergarten teachers, Nelson raised her hand and asked the all-consuming question: "When should my son start kindergarten?" "One teacher said, 'In my 35 years of teaching, I’ve never encountered anyone who wishes they hadn’t done the young fives program, but I’ve encountered some who wish they had done it,'" Nelson recalls. She was sold, and asked to have Luke evaluated for the program. The assessment included tests of Luke’s fine- and gross-motor skills, attention span, attention to detail, ability to follow directions, number knowledge, ability to spell his name, alphabet knowledge, color vision, and a hearing test. Luke scored high and showed no discernable deficiencies. So despite actually being a young five-year-old, he was deemed ineligible for the program. Still worried her son wasn’t ready, Nelson went to the principal. "[The principal] said in his case, because he doesn’t have any deficiencies and scored so high, maybe a regular classroom would be better for Luke," recalls Nelson. Still worried for her son down the road, Nelson made plans with the principal to have Luke take kindergarten twice. "We just tell him that he gets two years of kindergarten. He doesn’t have any feelings of being held back or retained." Yet another part of the equation with today’s high-stakes testing is that we expect more of kindergartners. Unfortunately, they’re less prepared for success. "Kindergarten is much more academic than ever," says Emily Glickman, a Manhattan-based educational consultant. "Many people feel that kindergarten is the new first grade." Reading expert J. Richard Gentry, Ph.D., author of Raising Confident Readers: How to Teach Your Child to Read and Write--From Baby to Age Seven, says the problem is exacerbated by parents failing to prepare their children for reading. Nearly half our nation’s kindergartners aren’t set up for reading success, he says. "The big question is whether a child is ready for formal reading instruction," says Gentry, who explains that in terms of brain development, kids aren’t ready to read until age six. But, starting from birth, parents need to start preparing their kids to read with "joyful literacy activities" such as reading aloud, drawing, and playing writing games. According to Gentry, too many children aren't getting this kind of preparation. "About 1.5 million kids come to kindergarten and they can’t write their name or retell the story of a favorite book," he says. "They’re already behind. They’re the achievement gap." Simply staying home and being a year older in kindergarten isn't the answer. "We need to consider what the child is doing, when otherwise he would’ve been in an educational and enriching environment," says Shane Jimerson, professor of school psychology at University of California at Santa Barbara. Educational researcher Melodye Bush agrees. "It’s not good to start everyone later," she says. "It’s not good to have everyone start at age six. What we see is that the earlier you start [kids] learning to read and write, the better. As far as ability to retain knowledge, it's better to start them at age three." Bush speculates that with time-strapped, stressed parents, "kids aren’t getting the necessary pre-learning they need." Both Gentry and Painter say that ultimately redshirted children from engaged, middle-class families "won’t be helped, but it likely won’t hurt." But the practice puts a strain on families that don’t have the resources to pay for an extra year of preschool. If these younger kids have to compete with older, better prepared children, it will, "exacerbate the achievement gap that already exists," Painter says. "I don’t advocate that school districts ban redshirting, but it’s a caution to keep in mind." 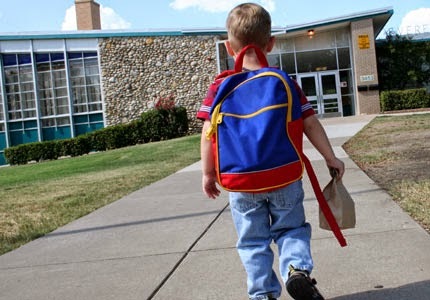 How can I prepare my child for the first day of kindergarten? As a man who was redshirted, I must say I hated it. A lot of parents say they redshirt to children to give them an academic advantage, but let me ask: How do they have an academic advantage over all their peers when they’re a year behind all their peers? How are they ahead if they’re in second grade when they’re supposed to be in third. This is why I would never redshirt my kids. I’d much rather they be doing okay in the grade they’re supposed to be in then be doing spectacularly being a grade behind. Doing better than kids a year younger than you is nothing to be proud of, and I want to be proud of my kids. Part of glory is doing things early, and if I redshirted my kids, they would be deprived of any academic glory, like I was. So don’t redshirt your kids. If anything, try to get them tested in early. Becoming valedictorian is really nothing to be proud of unless you were against kids your own age or older.